About Greenline Airport Taxis Greenline Airport Taxis is operated by Greenline Airport Taxis Ltd.Greenline Airport Taxis pride ourselves on offering a professional reliable service no matter who you are or where you are going. Greenline Airport Taxis provides a fast, efficient and reliable service for Airport Transfers as well as long-distance travel. 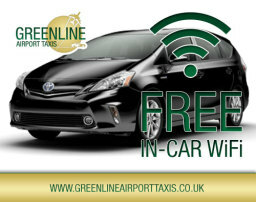 You name it, Greenline Airport Taxis can provide it. 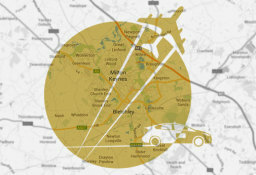 For Airport Transfers between Milton Keynes and airports including London Heathrow (LHR), Gatwick (LGW), Luton (LUT), Birmingham (BHX) and East Midlands (EMA), Greenline Airport Taxis provide an executive level service including Free In Car WiFi at a price competitive with typical local Taxi, Private Hire or Mini Cab Operators. Using Greenline's professional airport transfer service, you can be assured that your trip to the airport will be a pleasure rather than a chore. Pre-book your airport transfer with Greenline and let us take care of getting you to and from the airport. Greenline Taxis offer services to business and domestic clients throughout Milton Keynes. and neighbouring areas, including Newport Pagnell, Olney, Cranfield, Bletchley and Stony Stratford. Pre-Booking Your Taxi is easy with our online booking forms or simply by calling 01908 444 444.